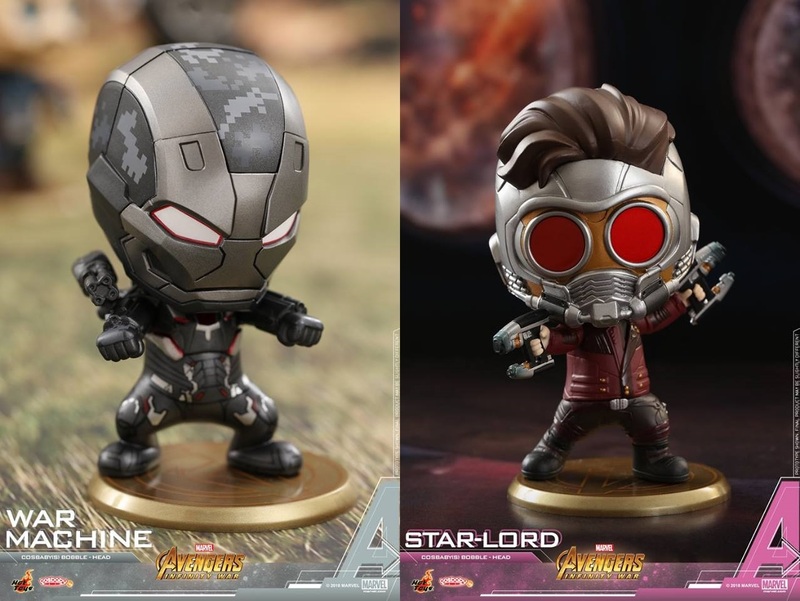 Hot Toys has unveiled an insane new line of Avengers: Infinity War Cosbaby mini figures based on the upcoming Marvel live action film! A film that unites the entire Marvel Cinematic Universe means the most diverse and all encompassing Marvel Cosbaby Series ever. 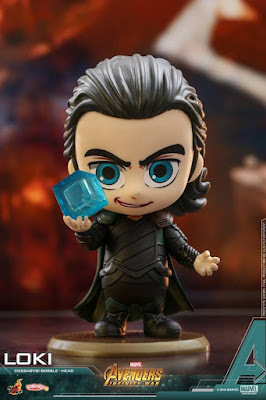 The Avengers: Infinity War Cosbaby Series includes 9.5cm mini figures of Captain America, Black Widow, Black Panther, War Machine, Hulk, Loki, Winter Soldier, Iron Man, Thor, Star-Lord, Groot and Rocket Raccoon. 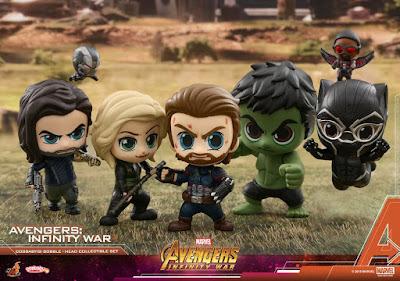 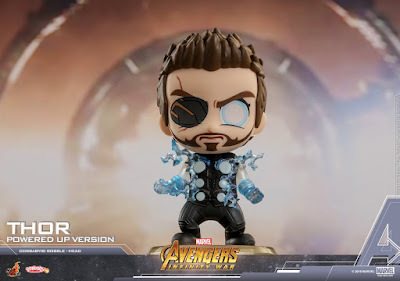 There’s also an Avengers: Infinity War Collectible Set featuring seven Cosbaby 9.5cm vinyl figures in all, including Captain America, Black Widow, Black Panther, Hulk and Winter Soldier, and two miniature War Machine and Falcon Cosbaby figures available only as part of this set. These new miniature Marvel Cosbaby figures stand approximately 3.5 – 4cm tall! 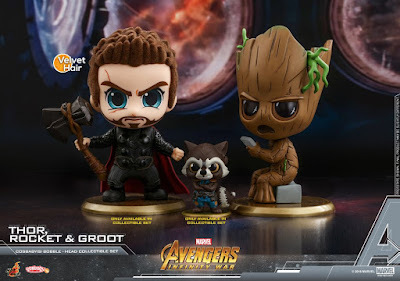 Hot Toys will then be releasing a Thor, Rocket Raccoon and Teen Groot Cosbaby Bobble-Head Collectible Set which includes Groot, and exclusive versions of Thor (with flocked hair) and Rocket Raccoon (a miniature version standing approximately 4.5cm tall). 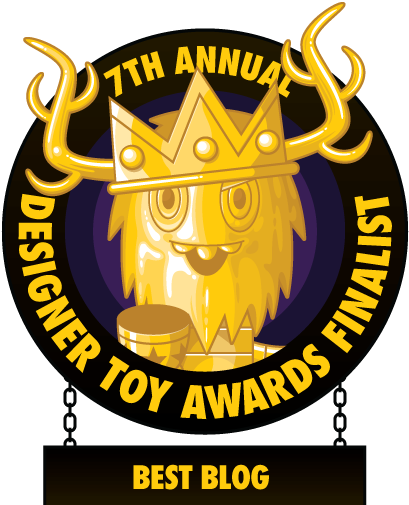 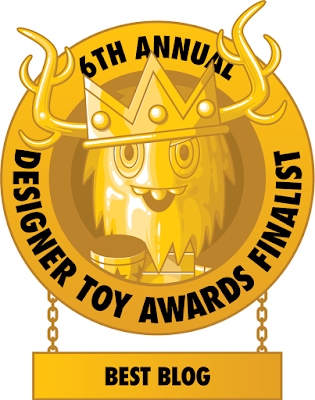 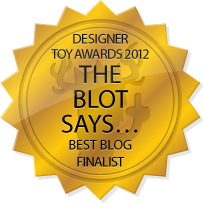 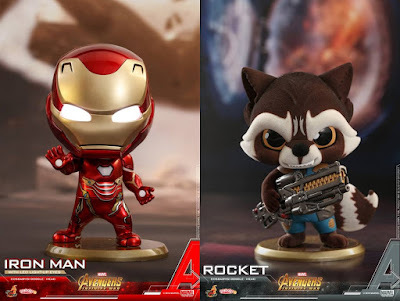 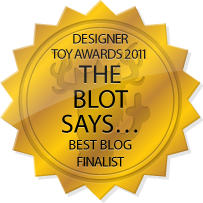 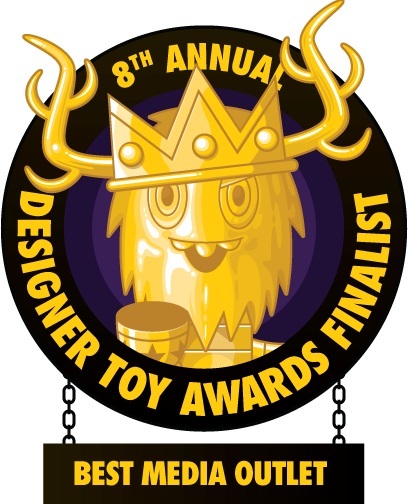 There will also be an Iron Man Cosbaby with LED light up eyes, a flocked Rocket Raccoon and “Powered Up” Thor. 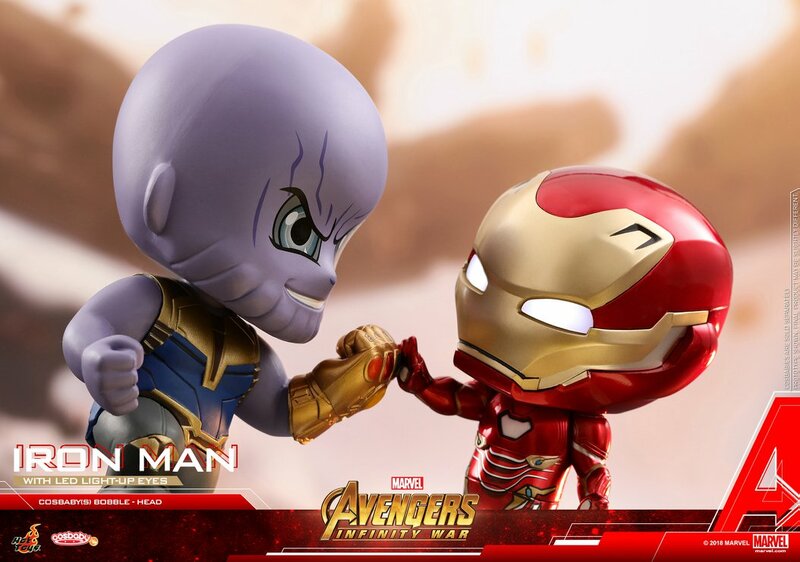 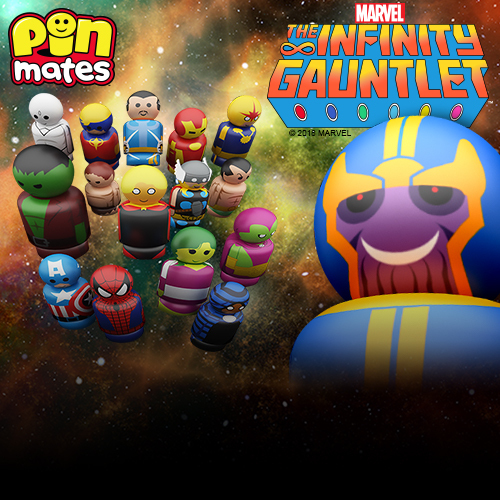 The Blot can’t wait to see what other Avengers: Infinity War Cosbaby mini figures are coming soon, like this Thanos pictures in the photo below!